Properly applied, manufacturing information systems can contribute to a firm's success. Improperly implemented, they have the potential to become a burden that can cause a firm's ultimate demise. 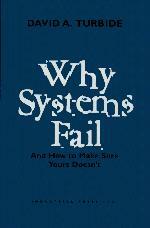 The author of this timely book applies his fifteen plus years in systems implementation to explain that failure is seldom the fault of the system, and it can be avoided by learning from the experiences of others. Discusses in detail how to keep your firm from making common (and some unusual) errors that can keep your system from becoming an unqualified success. Uses an integrated approach that combines virtually all areas of a business into a single applications set to demonstrate why systems fail and how to make sure that yours does not. Introduction. Packaged Software - Selection, Modification and Use. Executive Commitment. The Project Team. Implementation Planning. How Long Should it Take. Organizational Impact. Changes, Large and Small. Education and Training. What's in it for Me? Cut-over (Letting Go). Measurements. Can't I Just Buy It? Final Words. Appendices: A Brief Overview of MRP and MRP II. The Future of Packaged Software. MIS and Systems Implementation. Index.